From soft surface to hard surface and cross country in between, choosing a running shoe these days requires more than just popping down to your local sports shop and browsing through the selection on show. In fact, for the real hard-core runners, there’s machines out there that will monitor your tread and your gait, and recommend you the best running shoe to correct it. While we can’t pinpoint your next running shoe to the level of accuracy, we can help you to discover the best running shoes by Nike on the market so you can make an informed decision of your own. What about getting yourself the best running backpack? 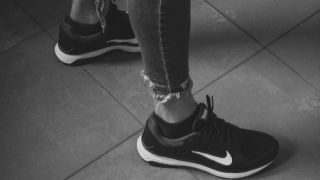 You will certainly want to consider the material composition when selecting your next Nike running shoe - there’s nothing worse than sweaty feet! Look for Flyknit if you are a regular runner or mesh if you are a casual gym goer. And the weight, make sure you are opting for a lightweight Nike shoe if you plan on going the distance in your next pair of kicks, because you don’t want anything getting in the way of your record-breaking lap on the racetrack. Nike is a fantastically reliable brand for running shoes and keeps at the cutting edge of the latest technologies and materials, so if the price points feel a little overwhelming, remember that you are getting a running shoe that will stand the test of time with Nike. We’ve covered the Nike shoe spectrum on our list of best running shoes, so hopefully you’ll discover a product that not only allows you to run in comfort but sits comfortably on your conscience too. Know that whatever specifications you require from your next running shoe, we have it covered. Ready, get set, go! A seamless fit for those that like to tackle a mile…or a marathon. If you you want a shoe so light it feels like a sock, then this in the one for you. Thanks to its innovative design, Nike promise a snug, seamless fit. They’ve even been able to completely do away with tie-up laces- great if you hate the thought of going head over heels mid run because you’ve come untied. If you can get your head around the fact that you don’t need to spend ages securing them to your feet, you’ll discover the cushioning has been perfectly formulated to provide fantastic toe to heel impact absorption over long distances. For constant comfort as you cover the Ks! Nothing feels better than powering through the miles. And when you’ve got your stride and your breathing steady, these shoes will propel you forward to keep the pace, thanks to the Nike Air Zoom technology, which should help to give you a spring in your step. To assist further, the Lunar core with its soft and firming cushioning, will ensure that your transitions are smooth. When you’ve got your own running style or track technique, it’s great to have a shoe that is as individual as you. While being able to personalise this shoe is a top attribute, it’s the responsiveness of the cushioned sole that should really set it apart. Whether you have dodgy knees or troublesome heels, this shoe swallows the impact for ultimate comfort as you cover the miles. Offering a barefoot feel but superior support, these shoes are great for short short distances and athletics on the track. Their USP is that they should move with you by mimicking the movement of your foot as you land and push off. Because they are so light, they lack the sole support for impact over long distances but what they lack in pressure resistance, they make up in maneuverability on the track. By the standards of all the shoes that we’ve already mentioned, this one certainly lacks the technical qualities. However, if you want a shoe that is good enough to transition between your everyday trainer and a shoe for some light exercise, this is a great buy. We wouldn’t recommend marathon training or attempting to beat your personal best, but you certainly wouldn’t have any worries sprinting for the bus or heading straight from work the gym! Love walking? Check out our article on the best walking trainers. Or why not take your fitness to the next level with our list of the best smartwatches?